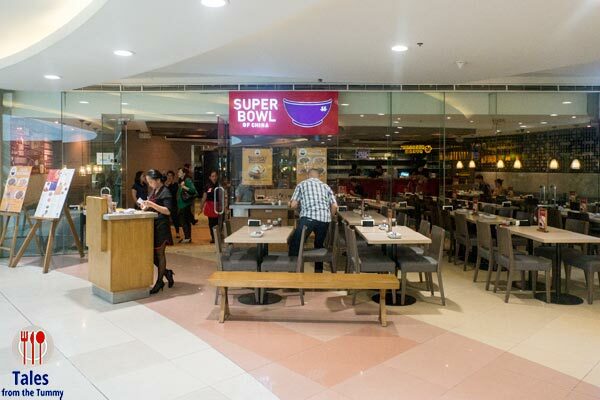 Irene and I always made it a point to visit the first Super Bowl of China branch in Megamall whenever we visited Manila. They’ve been dishing out Chinese dishes for quite a while already but decided to give their brand a new more streamlined look. The logo and the branches look more elegant whilst still retaining the Asian touch. If you look closely at the logo, you will notice that it looks like a smile, something you get after dining at Super Bowl of China. In line with their new look, they’ve introduced a select number of new dishes. Pork Wonton with Mala Sauce (P95). 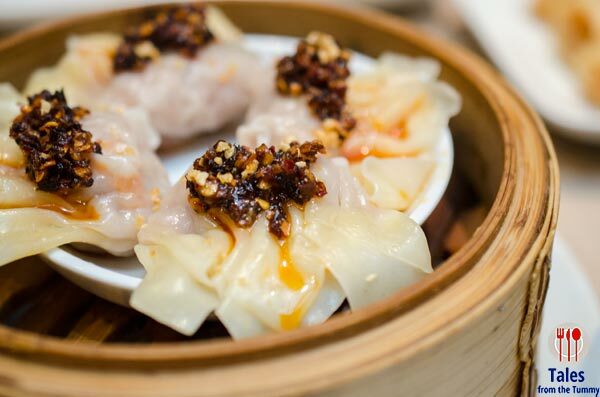 The classic Chinese pork dumplings given a spicy kick with a mala sauce topping. I knew it was super spicy so I removed most of the mala sauce but it was still spicy for me. This will delight spicy food lovers who want tears to come streaming from their eyes. Hot Chicken Salad (P270). 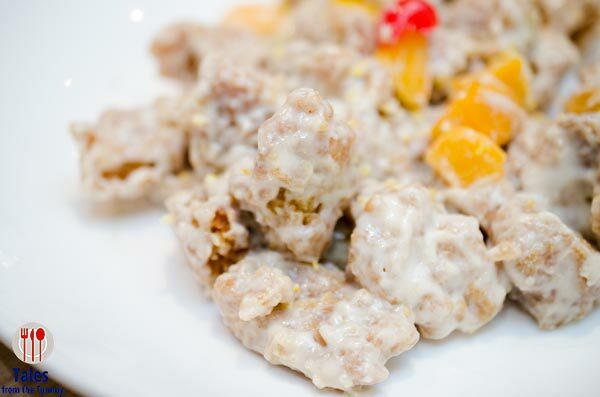 Boneless chicken fillet tossed in mayo and assorted fruits with lemon zest. The chicken pieces were well fried, with no hint of oil, and crispy. The mayo is tempered by the sweet fruits and lemon rind. Beef Hofan (P260). 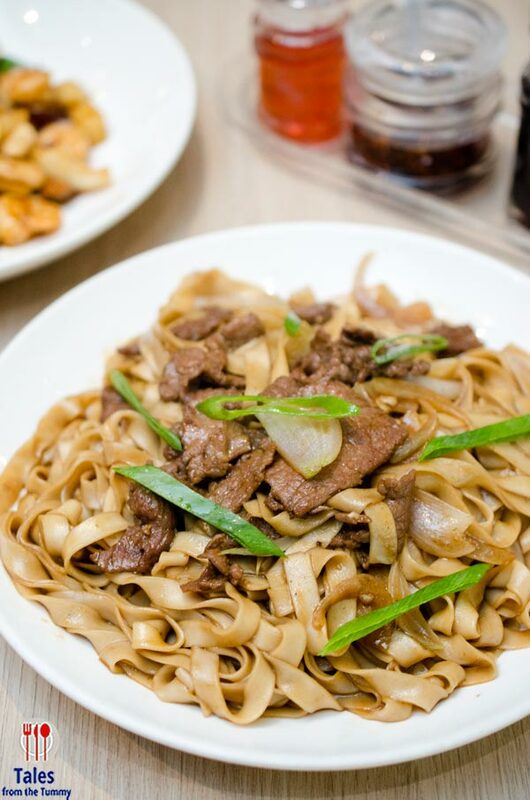 Flat noodles cooked with dark soy and oyster sauce and topped with beef slices, onions and leeks. The beef pieces were quite tender and the matched the sweet and savory noodles perfectly. A generous plate good for 2-3 persons. Red Bean Milk Tea (P85). 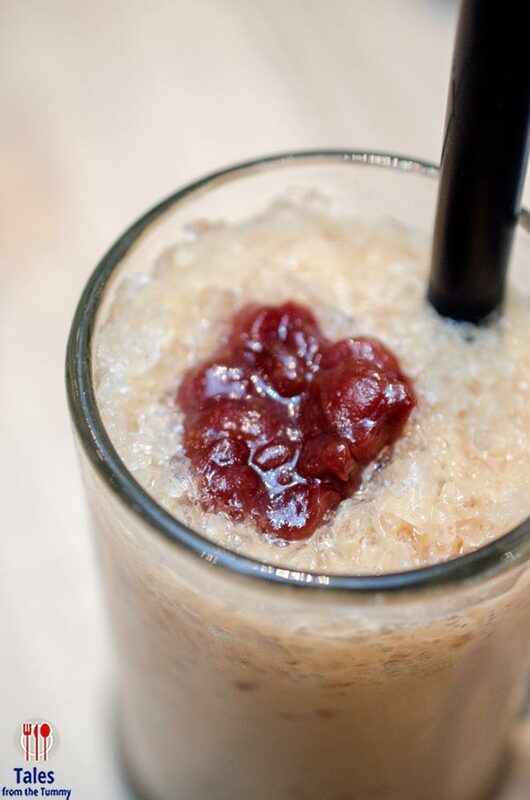 Brewed Chinese tea with milk and a dollop of creamy red bean and lots of crushed ice. A nice new spin on the common place milk tea. Irene describes it as the drink version of red bean fleecy. Aside from the new dishes we also had some of our old Super Bowl favorites like the Crispy Noodles with Assorted Seafood (P280). This is the dish Irene always orders and used to be served in a steel bowl. Hot and Soup Soup (P110). 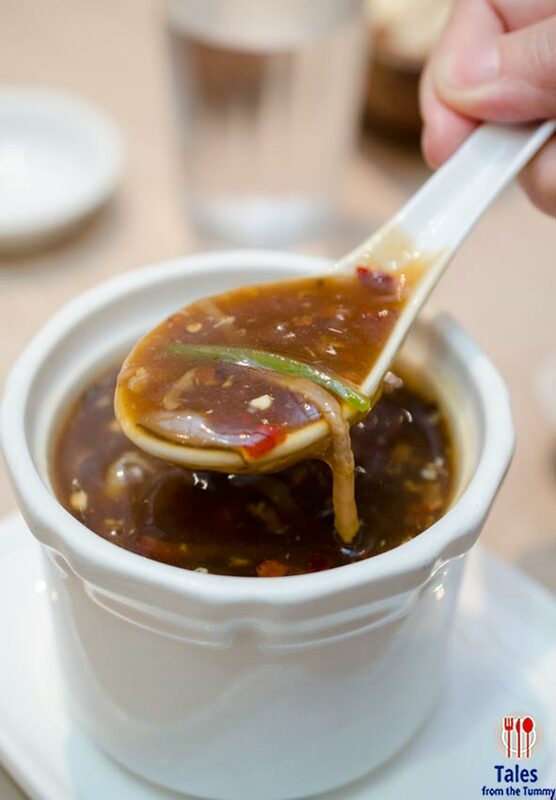 Hot and sour flavors both present in equal amounts, with neither overpowering the other. Fried Crispy Chicken (P325/half). 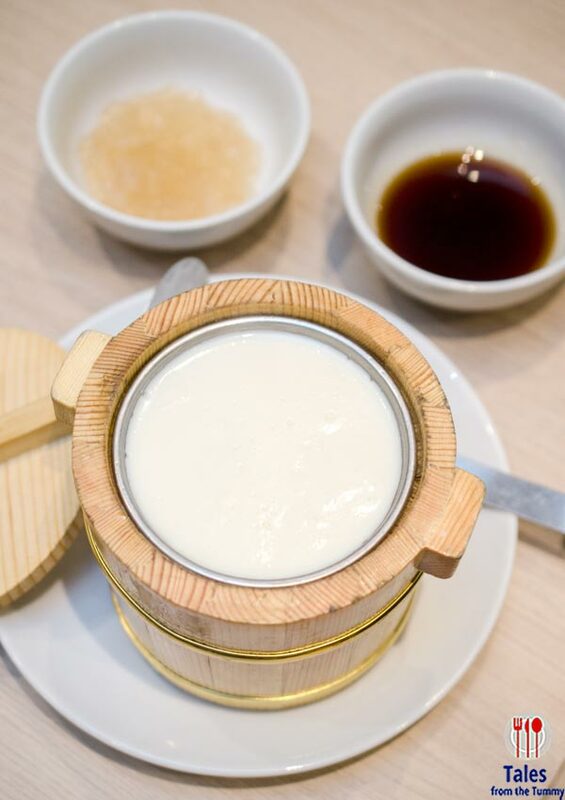 A Chinese restaurant staple that many places still stumble with. 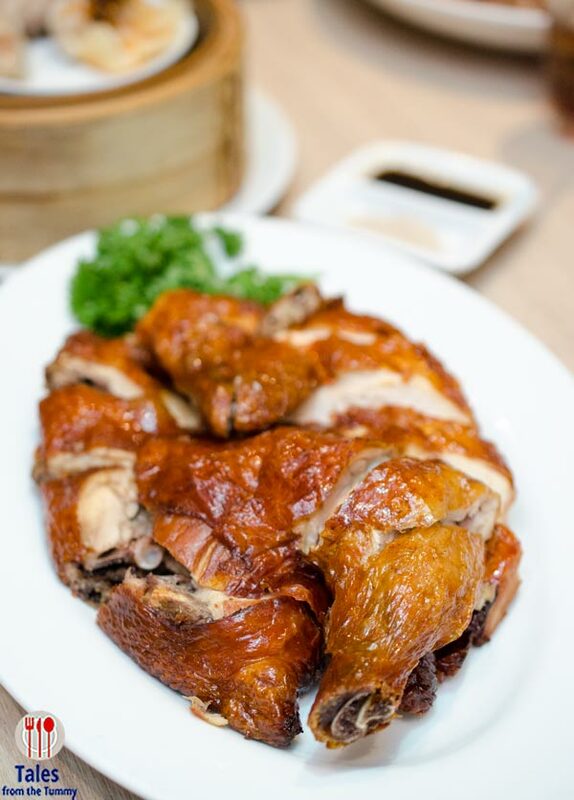 Super Bowl of China’s version has that thin and crispy glistening skin but the meat is still tender and juicy. Szechuan Shrimps (P350). 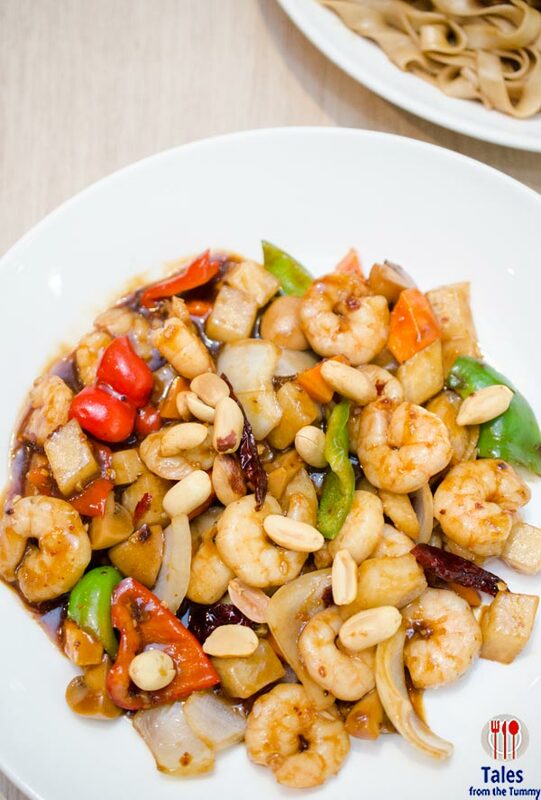 Shrimps, peanuts, and assorted vegetables sauteed with dried Taiwan chili. Good heat that will make you reach for the rice. Hakka Pork Belly (P260). This one is not new on the menu but it was new for me so I gave it a try. 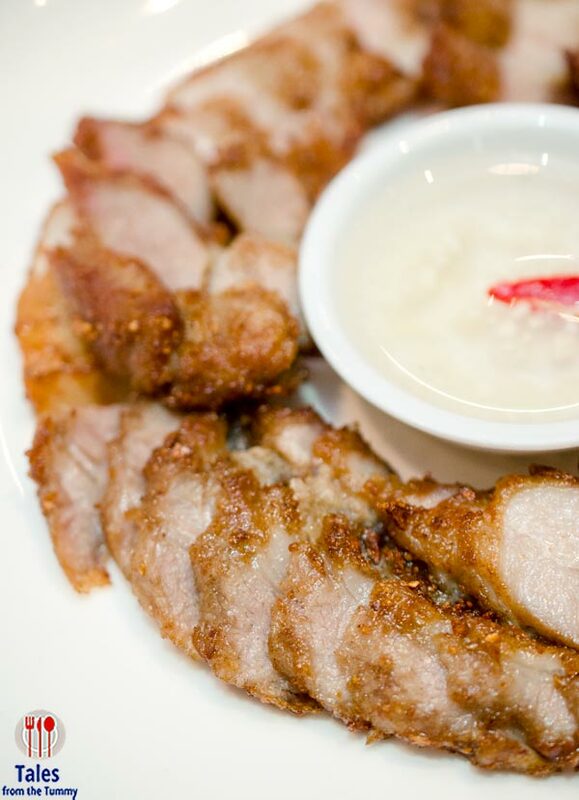 Fried five spice pork belly, sliced and served with a vinegar dipping sauce. I took my first bite sans the vinegar and tasted a mix of sweet and savory that I quite enjoyed. A quick dip in the vinegar on my next bite and it was so much better. The vinegar adds another dimension that heightens all the flavors. This rockets up to my favorite dish at Super Bowl of China. Taho (P110). Steamed as you order, perfect size for 2 people. The silky taho came with sugar syrup and tapioca/sago on the side. The Megamall branch aptly gets the first makeover but other branches will soon follow so you’ll be seeing it real soon near you. 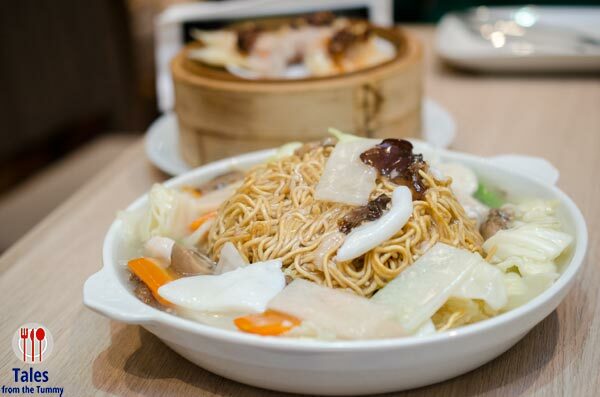 Time to give Super Bowl of China another visit to try their new dishes as well as indulge on your favorites.